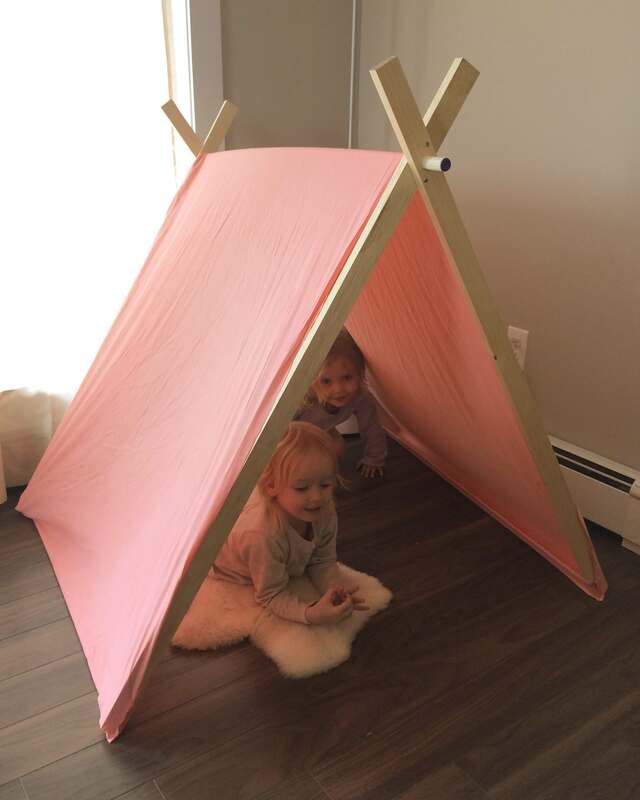 We wanted to build a cool tent for the girls. I looked all over Pinterest for something we could build. I found all sorts of great ideas. The first plan was a frame made from pvc pipes but I couldn’t find what I needed locally so I moved on to plan B. This was so easy to build. I went to our home hardware store and found a nice young man to help me locate the wood I would need. We decided on two 2×1″ 8 foot pieces of lumber which they cut in half for me. So I ended up with 4 2×1″ 4 foot pieces. Then we went to another aisle and grabbed a four foot 3/4″ dowel. The frame cost me $14 and change. I then went to our thrift store and found a nice pink single flat bedsheet for a couple of dollars. To build the frame take a 3/4″ spade drill bit and after marking 6″ down from the top of each board drill holes in all four boards. Make sure they are centred. 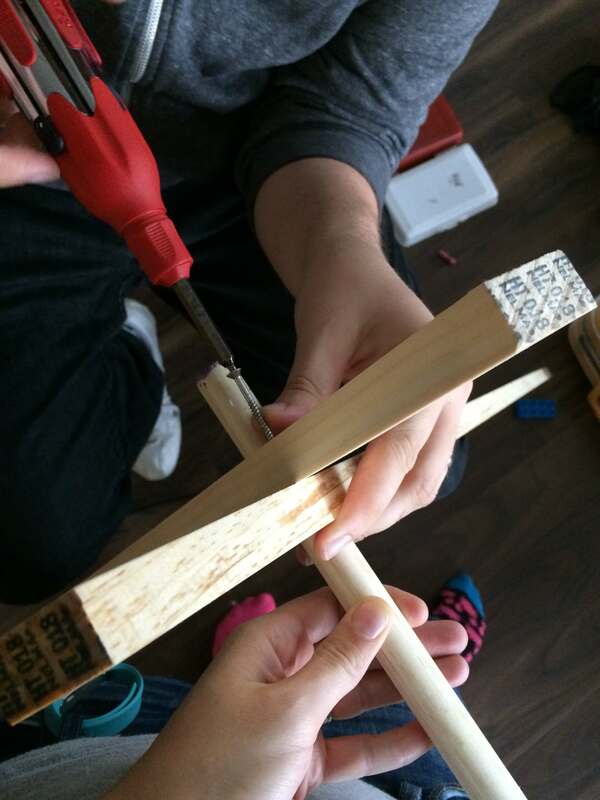 Make and X with two boards and shove the dowel through it, do the same on the other end. We don’t have carpet so the wood just slides open so we screwed the frame together. If you want to be able to store your tent you can also add a stiff strap across the top of the Aframe at the width you want it so it can fold up. Or use bolts instead of screws for easy removal. Next measure your frame. 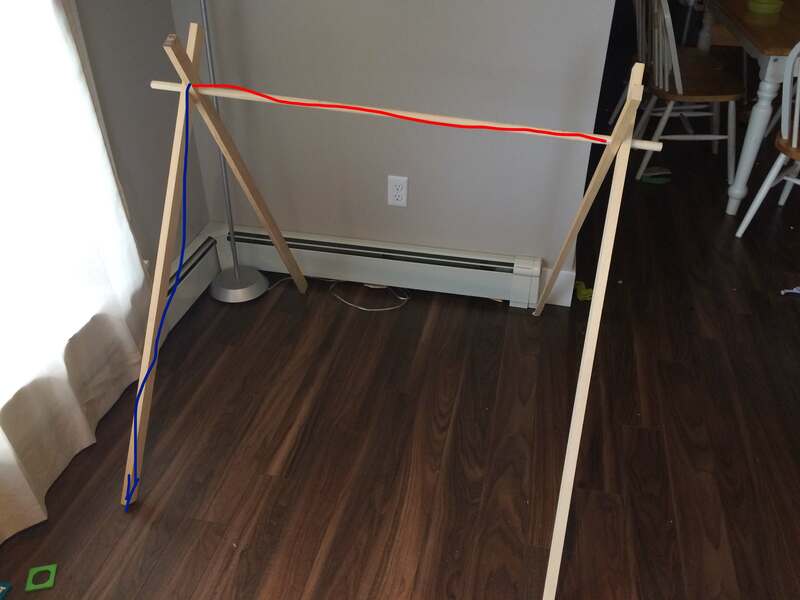 You want to measure the distance of the dowel between the two AFrames (red line), this will be how wide you want to hem your sheet. Next measure from the bottom of the AFrame up to the dowel and double that number (blue line), and add 3.5″. This will be the length of your hemmed sheet, and bottom pocket. 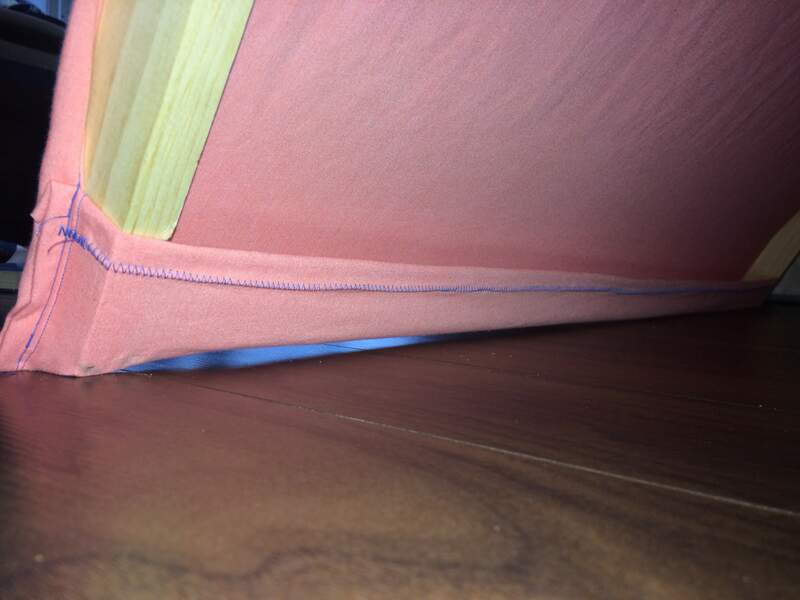 My final hemmed measurements were 40.5×92″. I cut and hemmed the width of the sheet, and then cut the length I would need. I hemmed the one raw edge of the sheet I cut, and created 3″ pockets on each end to tuck the bottom of the frame into. The girls love it. I love that I can make different tent covers. 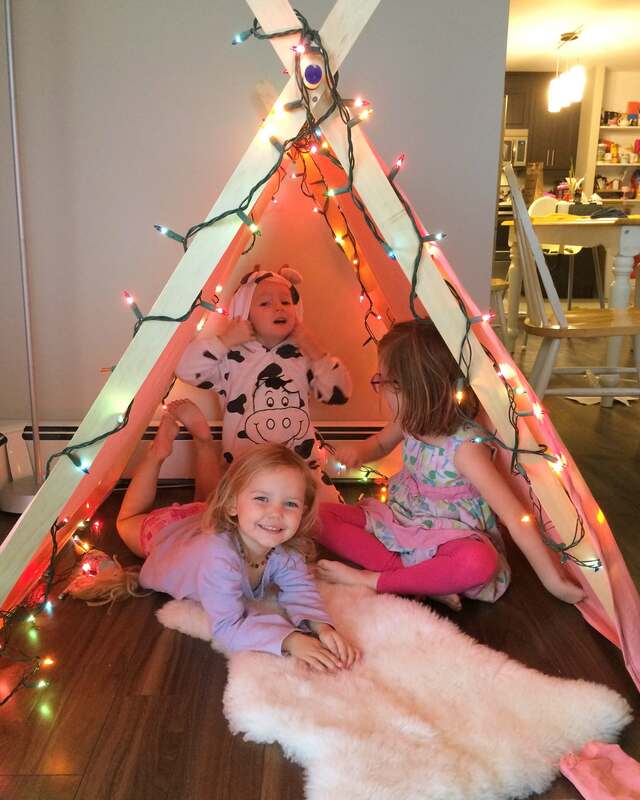 We added Christmas lights for a bit but they kept unplugging and plugging them in and pulling on the lights. So those went away. Add some blankets or pillows and it is a great reading nook, or quiet place. Have fun being creative.